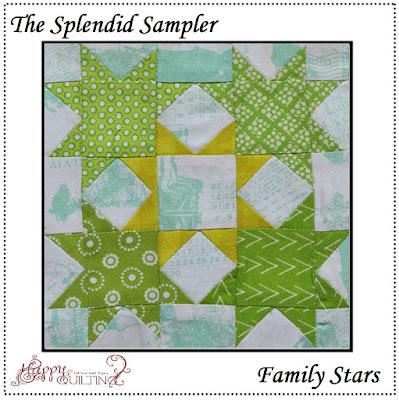 First up, the Family Stars block designed by Kimberly Jolly of Fat Quarter Shop. I loved everything about putting this block together!! The story behind Kimberly's block is so great, it just warmed my heart the whole time I was working on it. And I just love all of those adorable little stars. 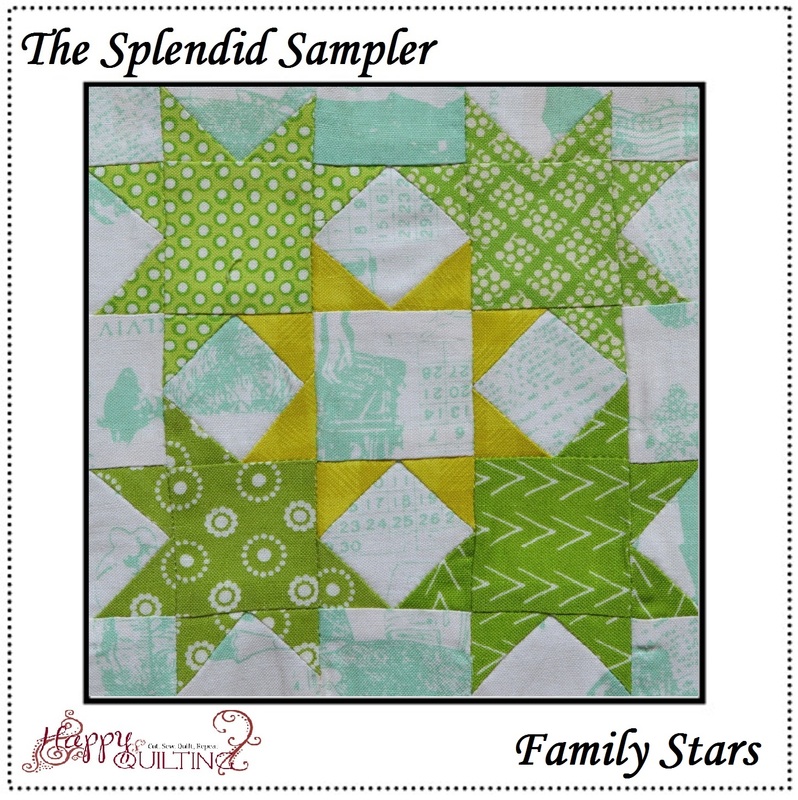 I can never get enough star blocks!!! 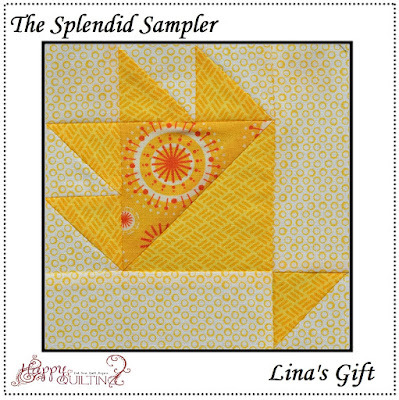 And second is Lina's Gift block designed by Pat Sloan. This was another wonderful story behind the block. 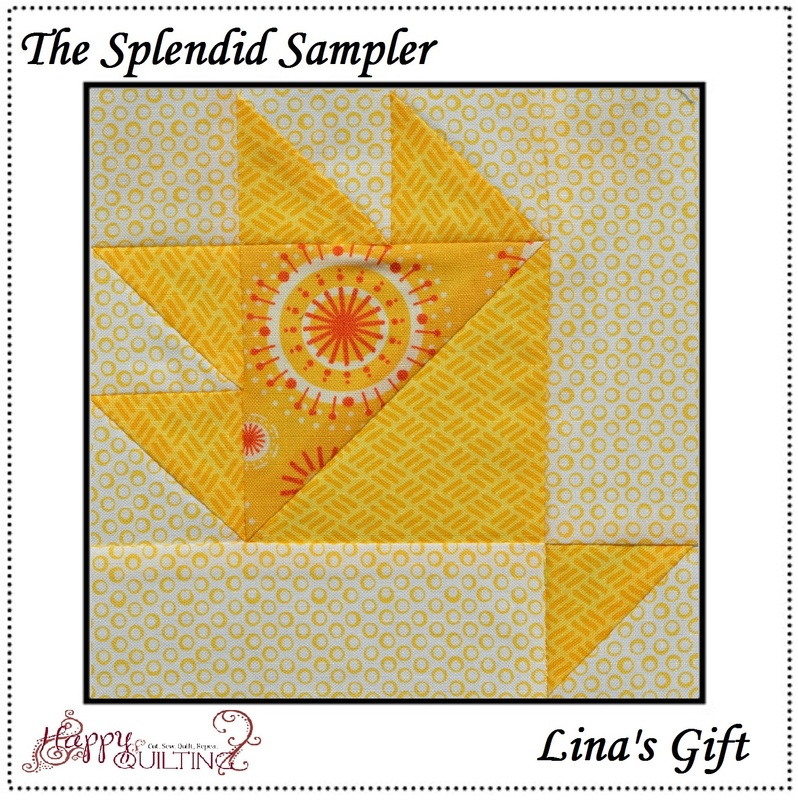 And I have to say, it was awfully nice to make this block that went together in no time flat. Every once and a while these less complicated ones can be a nice change of pace ;) So fun!! Very pretty blocks Melissa, great colours.